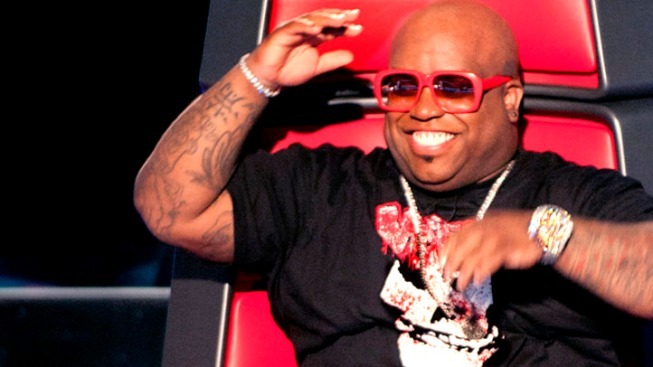 Cee Lo smiles during less emotional times. Cee Lo Green wept three times in the final battle round of "The Voice," which locked in the four teams that will proceed to the show's live competition. 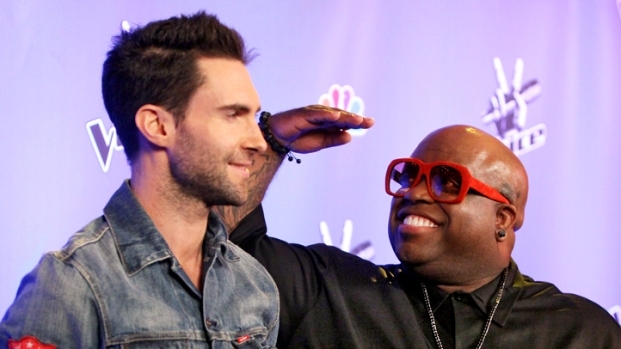 "I'm a sensitive person, I'm an artist," Cee Lo explained after his second emotional episode. They were tears stirred by moving performances and some anguish over having to choose who to cut—a call that distressed nearly all of the coaches. Blake Shelton appeared pained to drop the ax on Jordan Rager, whom he effusively flaunted as the "only real country singer" in the entire program. Rager proved to be less versatile than the show requires and couldn't compete with Naia Kete, who effortlessly and impressively made it through battle. "The Voice's" final four contestants will compete to be crowned the winner on this week's finale. And it was all too much for Cee Lo. His team's emotional ballads and heartfelt performances moved him to tears. James Massone—a Boston boy who could have been an extra in "Good Will Hunting" —sang "True Colors" with Wade, an R&B singer with and old-soul sound. Together, they triggered two of Cee Lo's three crying spells. The weepy artist leaned toward Wade the entire episode, but couldn't dispute Massone's dominance during the pair's final performance. Shockingly, he was able to hold himself together during the most emotional performance of the night. Tony Vincent and Justin Hopkins—both longtime musicians with young families—collaborated on Journey's "Faithfully." Perhaps Cee Lo remained composed because he couldn't see the TV-edited close-ups of each man's family as they ripped through the most relevant lines: "They say that the road ain't no place to start a family/ Right down the line it's been you and me/ And loving a music man ain't always what it's supposed to be." Every judge seemed completely swept up by each man's performance, including Cee Lo, who decided to keep Broadway singer Tony Vincent. The only judge who didn't seem in any way torn about cutting an act from her team was the ruthless Christina Aguilera who matter-of-factly told hip-hop artist Moses Stone that he was better than the country duo "The Line."